Athena battles the Gigante Alcyoneus in a scene from the Gigantomachia (War of the Giants). The giant is winged with serpentine lower legs. His mother Gaea (Earth) rises up from the earth beside him pleading for the life of her son. 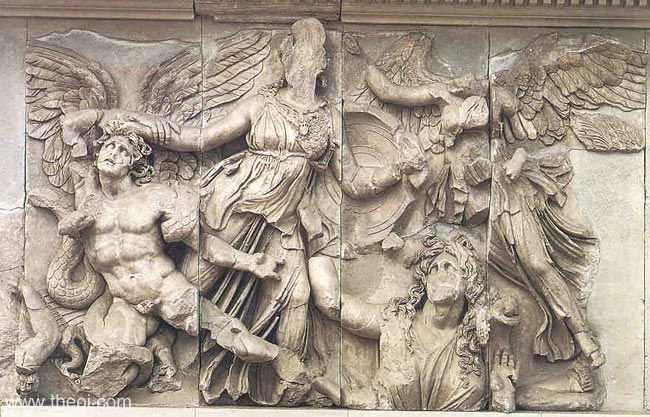 Athena is accompanied by the winged goddess Nike (Victory).